Hi Florence, congratulations on your recent success! What does it mean to you to have received a start-up loan from UAL and how will it help your business grow? The start up loan from UAL is definitely the catalyst my ideas needed to develop into a business. UAL Student Enterprise and Employablility (SEE) have been a great help. It's more than just the money you receive, they have also set me up with my mentor who works in corporate asset finance. He really helps in addressing cash flow, finance issues and putting together a well structured business plan. The application process was very detailed and thorough; I applied for two rounds of funding and it took several weeks, I was approved for both rounds after providing evidence that my business was ready for it. I would advise anyone in the university that is serious about starting a business to go to them. Also, what does it mean to you to have made it to the final of the Stylist x Triumph Maker competition? Being one of nine finalists out of the hundreds of women that applied to the Stylist x Triumph makers competition is really the greatest thing ever. It is definitely one of the best things that has happened for my business. MDMflow is only nine months old and to be recognised on a national level so early on really makes me feel optimistic for the future. Tell us more about MDMflow; what are the inspirations behind the brand and what are your ambitions for the future? MDMflow is a premium beauty lifestyle brand inspired by the glamour associated with mid 90s to early 2000s Hip Hop culture. At MDMflow we believe classic glamour is outdated and provide young beauty shoppers a brand that authentically resonates with their views, ethics and lifestyle. I’ve built MDMflow with the character and colour I saw missing from all the luxury brands I have worked with over the years. Long term we want to become a household name in the beauty industry with a full product range. My ultimate dream is to have a cool lab space and manufacturing site in London with a full creative team and young scientists, a little bit like Charlie and the Chocolate Factory or rather Terry de Gunzburg’s famous laboratory in Paris. What have been the highlights of launching MDMflow so far? Featuring on Belmodo.tv one of Belgium's top lifestyle blogs was super cool. MDMflow has quite a following in the Flanders region of Belgium, which is really cool since we are a young British brand. Being a Triumph x Stylist finalist is definitely a highlight! Though honestly every time I get a new follower on Instagram, someone mentions my lipsticks on twitter, or someone I'm not friends with likes the Facebook page it's the best feeling ever, especially since I don't advertise. What did you learn on your BSc Cosmetic Science degree that has helped you to make a success of your business? During the course of my four years studying BSc Cosmetic Science at LCF I learned all the aspects of putting together a cosmetic product, from the chemical and formulary aspects up to packaging and marketing the product. During my 12-month cosmetic marketing placement year in Antwerp, Belgium I had the opportunity to meet excellent formulators and raw material suppliers that have supported MDMflow with advice and resources. 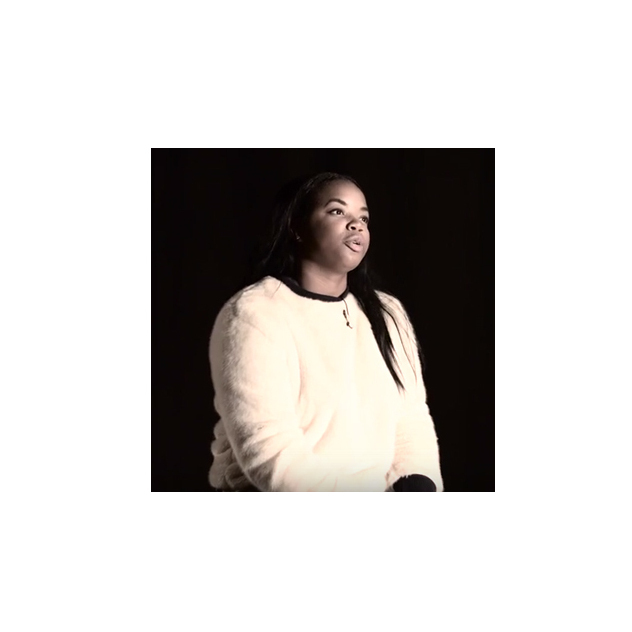 Why did you choose to study your course and why did you choose to study at LCF? Initially I set out to study pharmacy; I didn't even know Cosmetic Science existed. By chance, I ended up working on a beauty counter at 16 and immediately fell in love with the industry and set out to study the most scientific role available and thus chose cosmetic science. LCF is the only university in the UK that runs the course. LCF also have a huge network of successful alumni so it’s an inspiring place to be.